When the Tang-orange plume of acidic water and heavy metal-laden slime blasted out of a mine in southwest Colorado’s San Juan Mountains on August 5th, tore through Cement Creek in Silverton, ran into the Animas River and, finally, the San Juan River some 100 miles downstream, it may have seemed like a pristine mountain stream was forever sullied. It’s not just industry, either. This landscape has also been farmed, grazed and urbanized. More and more people move here every year and put more demands on the rivers, and more stuff into them. 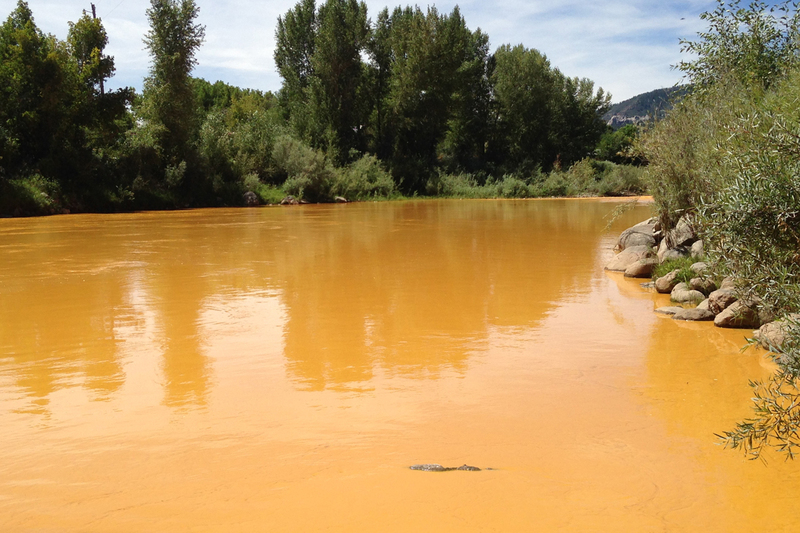 In fact, nutrient loading and bacteria levels are so high on the Animas and San Juan in northwestern New Mexico, that Dave Tomko, with the San Juan Watershed Group, was downright blasé about the orange plume moving toward his community. He figured that naturally high pH levels in the San Juan, along with extra releases from Navajo Reservoir upstream, would buffer the impacts of the acidic plume. –This article originally appeared in High Country News, HCN.org. Jonathan Thompson is a senior editor.